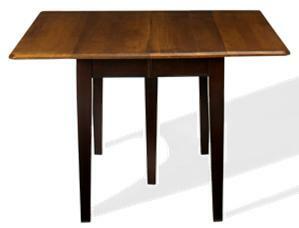 Add this sleek and sophisticated serving table to your dining room for extra storage. 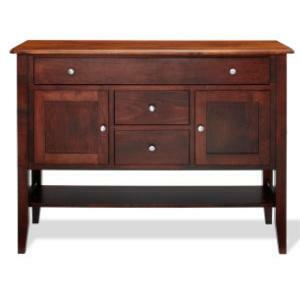 Finished in a rich dark Espresso on maple wood, this piece features clean lines and simple hardware. Three drawers keep smaller items like silverware organized, and you can store up to 5 table leaves in the top drawer. Two cabinet doors will hold other items such as dishes and glassware. Complete your formal or semi-formal dining ensemble with this elegant server. 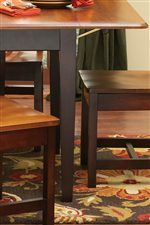 The Saber Transitional Dining Server Table at Morris Home in the Dayton, Cincinnati, Columbus, Ohio, Northern Kentucky area. Product availability may vary. Contact us for the most current availability on this product. Finish Beautiful solid maple finish. 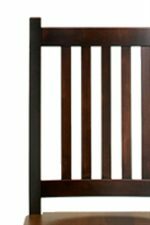 Case Detail Slatted chair backs. Straight table legs. Clean and smooth lines. Description: Top Solid maple finished wood tops. Case Construction Handcrafted from first rate solid maple. Our Saber Collection from Gascho is an excellent example of solid maple furniture. 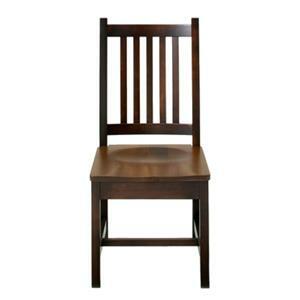 The drop leaf table is made from select solid maple, ensuring that your furniture investment is heirloom quality. Add the two 12-inch leaves and the table extends to 42" x 72". 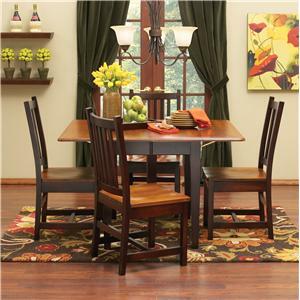 The table and side chairs are handcrafted to the highest quality standards, giving you a first-rate maple dining room set at a remarkable value. 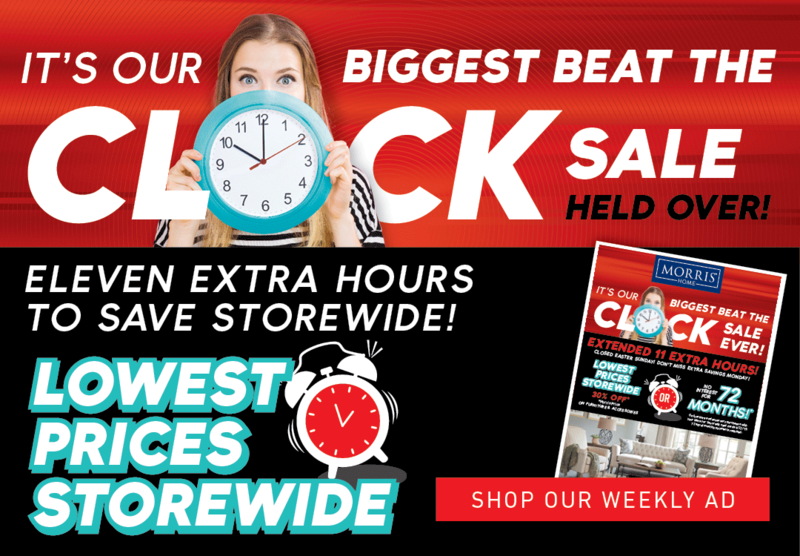 The Saber collection is a great option if you are looking for Mission furniture in the Dayton, Cincinnati, Columbus, Ohio, Northern Kentucky area. Mission Styled Slatted Chair Backs. Straight Table Legs Offers a Clean and Smooth Look. 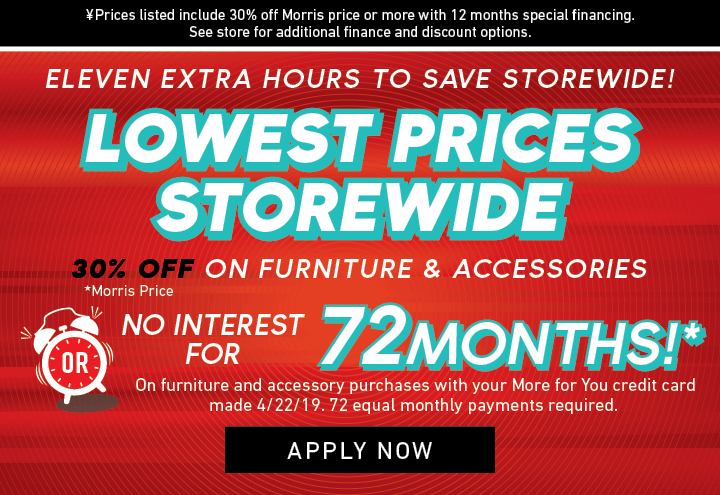 Browse other items in the Saber collection from Morris Home in the Dayton, Cincinnati, Columbus, Ohio, Northern Kentucky area.